The revelation has been made as to why Muhammadu Buhari, Nigeria’s current President and head of state, wants another war between Biafra and Nigeria. Our source said Buhari was eyeing Igbo wealth all over the contraption called Nigeria and believed that such huge amount of funds would help him to run his cash-strapped government. Our source in Aso Rock, Nigeria seat of power revealed that in a recent meeting with some elements from the Northern and western parts of the country, Buhari was advised to provoke another war with Biafrans so that he could steal their wealth and use it to run his government. In fact he was told that a war would easily justify the confiscation of Biafrans’ wealth and properties that are scattered all over Nigeria. They advised him further that which such funds pay, both for the weapons and armaments, he would be able to fight the Biafrans and still have enough to run government after Biafra is crushed. They told him also that such an action would be just the best way to deal with the Biafran agitation issue that is currently dealing severe blow to Nigerian economy as well as its image worldwide. Our source, a Hausa man, told Biafra Family Writers that the Nigerian president was given an example with the first war, how Yakubu Gowon and Obafemi Awolowo stole Biafrans’ wealth and properties and used it to fight them. The duo had stolen both tangible and intangible assets of Biafrans such as houses, properties, physical cash, and cash in the banks, pensions and gratuities, shares and all other manners of possessions. They used the money to offset the balance of payment for the war and embezzled the remainder. All the countries that supplied arms and material to Nigeria during the war, including Britain, Russia, the Arab world, were paid in full with Biafran funds. 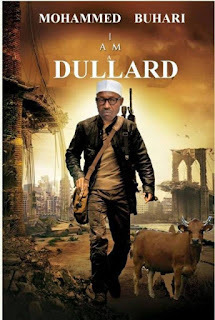 Our source, who is also a friend of Biafra, explained that since Buhari got the advice that he had been in upbeat mood, excitedly looking for ways to provoke another war between Biafra and Nigeria. He said the recent stepped-up tempo of killings of innocent demonstrators was direct fallout of that decision. “You should have seen his mood after that meeting. He believed that with what he had been told and the amount of money that would come out of it, he would not need any more loans from the World Bank (WB) and African Development Bank (AfDB) to run his government” our source said. He went on to reveal that the current move of government ordering the linking of Bank Verification Number (BVN) with the ownership of houses in Abuja was because the dictator has his eyes on Biafran properties. His words: “You know stealing is the specialty of Nigeria and those who constituted its leadership since 1970; they want to steal Biafran properties by all means” he said. He said also that the current deployment of soldiers to Ijaw land was not unconnected with the overall plans to provoke war between Biafra and Nigeria, especially as Igbo speaking part of Biafra have vowed to stand with their brothers, the Ijaw people whenever they are attacked. MUHAMMADU BUHARI AND HIS COHORTS ARE BUT BUILDING CASTLES IN THE AIR. THANKS BE TO THE ONE AND ONLY ONE ALMIGHTY GOD FOR REVEALING THIS TO US AND TO THE WHOLE WORLD AT THIS JUCTURE. BUHARI AND HIS COHORTS HAVE LOST IN THIS DIRECTION. THERE IS BUT ONE AND ONLY ONE ALMIGHTY GOD. MUHAMMADU BUHARI, WITH HIS COHORTS, IS NOT THE ALMIGHTY GOD. THEY ARE BUT MAKING FOLLY OF THEIR HOLLOWNESS AND BANKRUPTCY OF SOUND INNOVATIVE IDEAS. WOE.